Water resistant natural full grain leather, lightweight and durable. More of the features are below…. 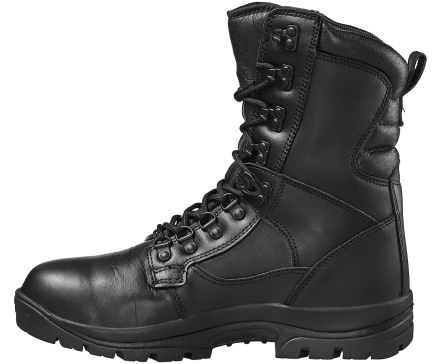 The Elite II Leather Waterproof is the crème de la crème of Magnum uniform boots. This high spec, high performance, premium quality boot is durable, waterproof and packed with impressive technology. 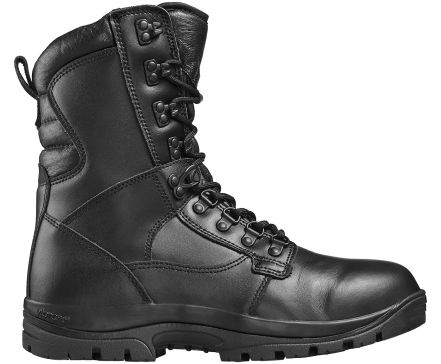 A naturally water-resistant leather upper combined with a breathable, waterproof Sympatex® membrane, gives these boots ultimate waterproof protection. On the inside is an Agion® treated lining for moisture management, keeping your boots smelling fresh for longer. A removable M-P.A.C.T PLUS memory foam insole adds exceptional cushioning comfort and support. 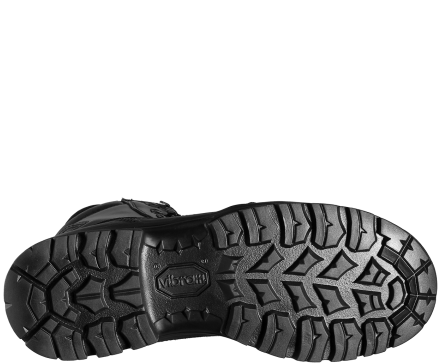 The high traction SRA Vibram® outsole with ladder grips is slip & oil and heat resistant, and ready to stand up to the toughest conditions. 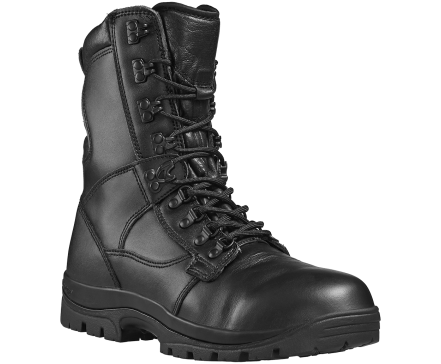 These men’s and women’s uniform boots also have an Achilles heel flex zone for ultimate flexibility, a padded collar and tongue for comfort, and durable rustproof hardware. Tested & certified to European Standard EN ISO 20347:2012 OB E FO HI CI HRO WRU SRA. 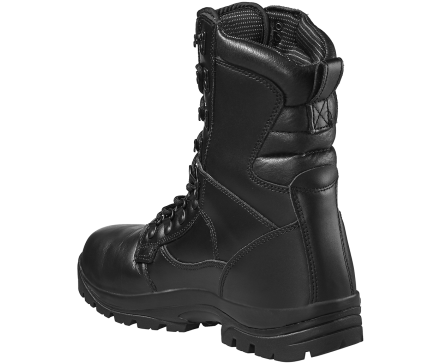 The Magnum Elite II waterproof leather boots for me and women are an ideal choice for police (including specialist roles such as dog handlers), security, military, paintball and airsoft enthusiasts Or anyone who wants an ultimate performance boot and is out to impress!